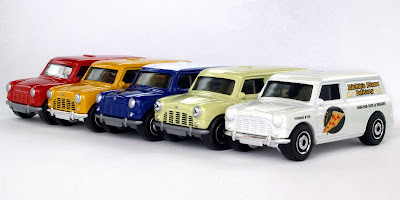 Well, as promised - here is my modest collection of Matchbox 1965 Austin Mini Vans. The casting was first released in 2007, so it's pretty new. One without any markings on the side. 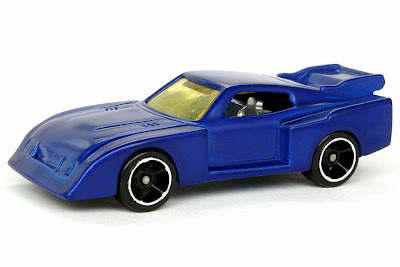 This one was found in a 5-Pack. One found only in a 10-Pack. Dig that slice of pizza on the door! 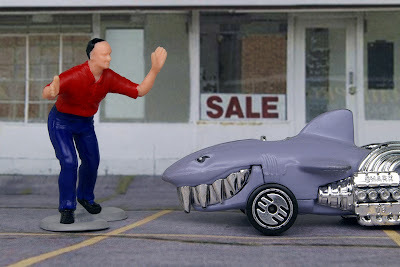 And the first one released in 2009's City Action series. I'm sure that there will be plenty more to come! Well, I haven't been able to post for the last two weeks because a tremendous thunderstorm moved through my area and lightning struck my computer - taking it out completely. But, now I'm back online and until I can get caught up on everything, I wanted to post a few images to follow up on some previous posts. Well, here goes! 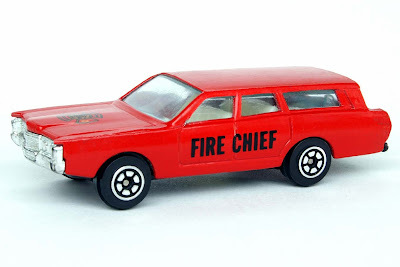 This is a Yat Ming Ford Station Wagon, here displaying a Fire Chief paint scheme. 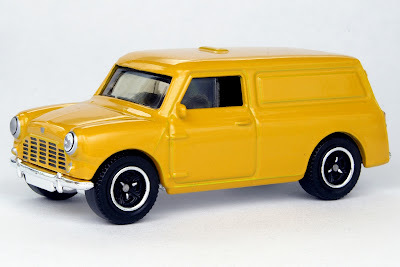 This vehicle will have it's own special post coming up soon - when I get some time to take more pictures of it - but for now it can be an addition to some of the station wagons I've featured here on Diecast Destination. 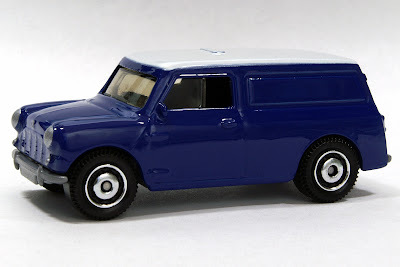 Just check out these previous posts, Hot Wheels Station Wagons and More Station Wagons. Here is another image of the Summer Toyota Celica LB Turbo GR.5 that I restored, with different wheels. 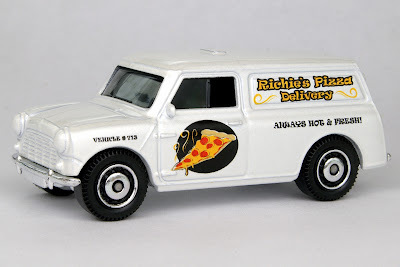 I thought they resembled the ones on the original vehicle better, but I haven't decided whether I like these or the original ones I chose better. Time will tell, I suppose. You can check out all about those other wheels and the restoration process here. This is an unused image of a Steam Roller from a special road construction post I did a short while back. 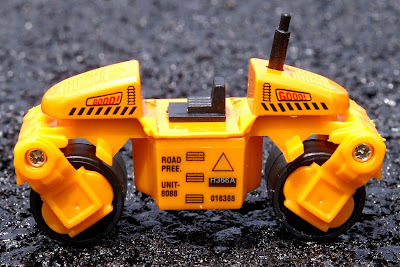 There just doesn't seem to be many websites that feature 1:64 scale construction equipment, so like me, if you can't get enough of these tiny workhorses, you can see plenty more of them here! What's not to like about pictures of plastic cows? 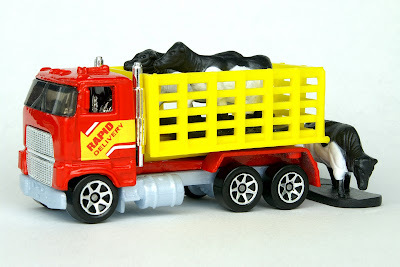 Here is a Hot Wheels Stake Bed truck hauling them back to the farm. As previously mentioned, more pictures of plastic cows to look at. 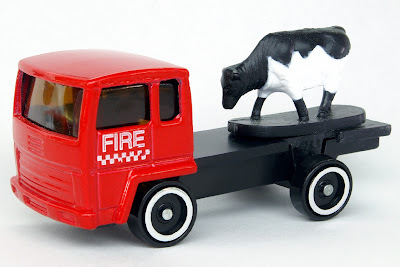 This one is riding on the back of a Suntoys fire vehicle, with the bed removed. 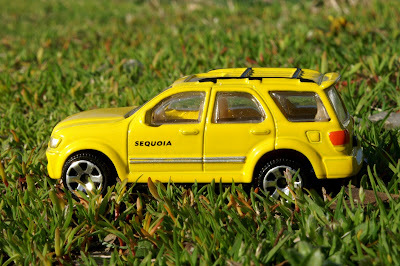 This little Road Master Express Wheels Toyota Sequoia, by Suntoys, certainly got around during this post here, but it's back on the dusty (grassy?) trail. 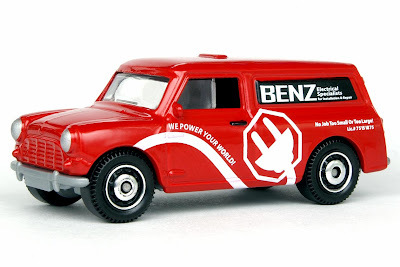 What adventures await for this little SUV? Stay posted and see! 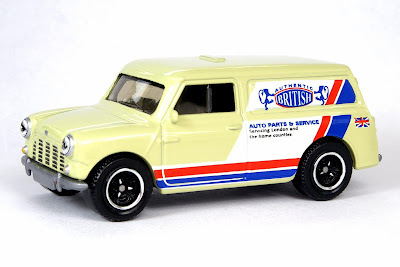 And finally, this Matchbox 1965 Austin Mini Van just makes my mouth water to look at it! 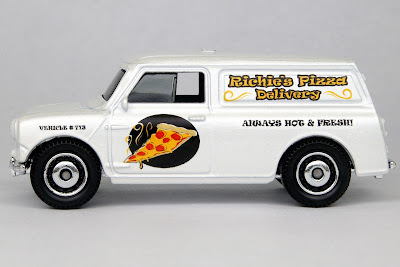 I plan on doing a post soon to show off a few of these tiny delivery vans that are in my collection. They seem to be popular and have come in many different guises which feature a multitude of business uses and corporate logos. 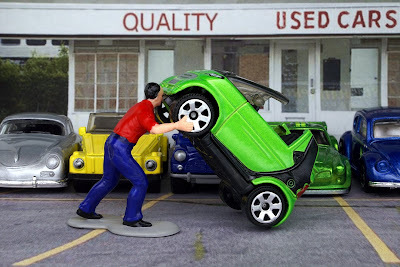 Everybody needs a laugh now and then - so please enjoy these humorous diecast photos! "I tell ya, that fish was this big!" "Uh, huh." "What!? 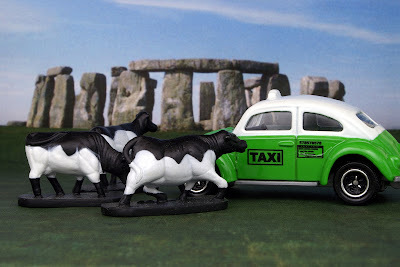 Three cows can't need a taxi now and then!?" "I don't know.... I was looking for something a little more heavy duty than this."